The environment ministry of China granted permission for the world's tallest hydroelectric dam to be built on the Dadu River. Construction plans were approved despite acknowledgement of impacts to endangered plants and rare fish species during environmental risk assessment procedures, according to Reuters. The dam will measure 1,030 feet in height and will be located in the southwestern Sichuan province. 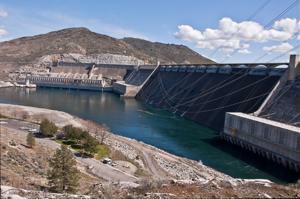 When completed, the dam will generate a total installed capacity of 20 gigawatts. The region is home to diverse plant and fish species, many of which are under government protection, The Guardian reported. The environmental ministry proposed mitigation efforts, such as protection of fish habitats in tributaries and increased efforts for fish breeding and releasing. China has made the move to strengthen its energy portfolio by upping non-fossil fuels to 15 percent of the total energy used by 2020, Reuters said. Hydropower is predicted to make the largest contribution. Chinese authorities approved a controversial group of dams along the Nu River, The Guardian stated. A previous hydroelectric dam project on the Dadu River sparked unrest among farmers in the region who would be forced to relocate. In addition to the potential impacts on endangered species, scientists have cautioned that excessive damming in southwest China could increase the region's risk of natural disasters, such as earthquakes and landslides. Rivers often form along fault lines, so planned dam projects are at risk of damage, according to New Scientist. Seismologists have suggested the creation of reservoirs could partially trigger massive earthquakes in geologically unstable provinces like Sichuan because the weight of the water increases pressure on fault lines. A recent quake in China damaged two medium-sized dams and 52 smaller ones, causing residents to be evacuated downstream. Natural disasters could have a dramatic effect on logistics and other business operations in the region.